I swear someone crept into my house and fiddled with the clocks. Today has flown by. I was up early and had a pretty good to-do list going, but the day seems to be a lot shorter than I anticipated. But, what can you do, right? 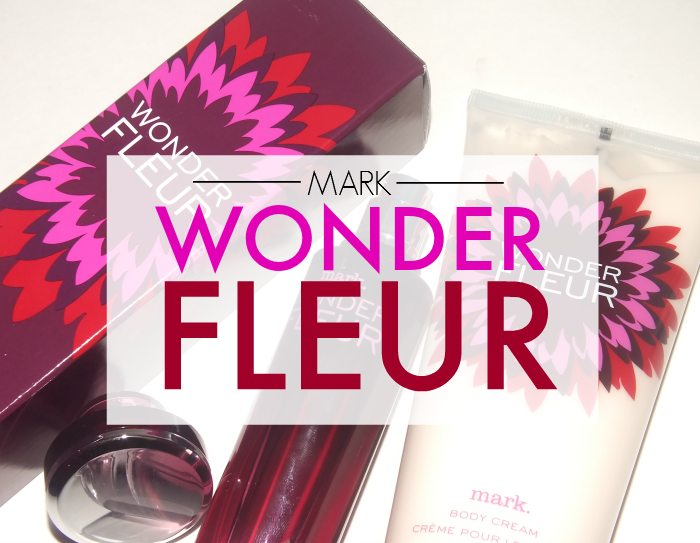 Onto what you're actually interested in- the new, limited edition Mark Wonder Fleur Eau de Toilette. Read on for details! Fresh for Fall comes Mark Wonder Fleur. Before we get to the scent, can we take a moment to admire the bottle and packaging? I love the long, sleek bottle, simple detailing and the box with it's floral burst. I like it. The scent, as the name implies is pretty much all floral with top notes of apple blossom, meadow dew, and mandarin flower. Middle notes of wild freesia, fresh-picked daisies, purple pansy and base notes of pillowy musk, dandelion feathers and forest woods. From the initial spritz, the apple blossom is most present and gives the scent a little sweetness, which then leads into flowery heart with daisy and freesia being most prominent. The dry down is where things get a little earthier and warmer with musk and dandelion coming through. Overall, I like the scent. I like that while this is so floral, it's grounded with the musk which adds some warmth and depth. The scent lasts quite nicely on skin, but of course can be extended with the body lotion. The lotion has a medium consistency that absorbs easily and is actually very hydrating. It gives a really good dose of the Wonder Fleur scent too- no wimpy fragrance with this one. While this scent isn't something I'd wear, I would most defiantly compliment someone else who was. Are you a fan of floral scents? Does this sound like one you'd go for?